South Pasadena’s Fork In The Road is one of the most interesting spots in the city. Whether you’re a visitor or a resident, it’s the perfect place for a photo op, and symbolizes that, no matter what road you take, the city has a lot to offer. If you’ve never seen it yourself, it’s quite straightforward: it–quite literally-is a fork in the road. It’s constructed of wood (though its silvery paint job gives it the appearance of metal) and sits at the intersection of Pasadena and St. John Avenues. The Fork has been standing since Halloween 2009, and it has quite the history. Artist Ken Marshall and a friend of his created the Fork as a 75th birthday gift to his friend, Bob Stane. Marshall and Stane co-own the Altadena coffee gallery and showroom, and had talked about the idea a while back. One night, dressed in CalTrans uniforms (CalTrans owned the land plot), the pair snuck over late and night, dug the hole, illegally stuck in the art, and poured in 400 pounds of concrete. According to many sources, they waved at policemen who drove by during the installation. After the Fork was firmly planted, a party was thrown, and the mastermind behind the project considered the artwork not just a gift to Stane, but to the city of South Pasadena. At the party/groundbreaking of the Fork, t-shirts were handed out with the sentence, “The World’s Largest Fork In The Road.” Later research eventually found that this was not, in fact, the largest fork in the road. There is also a 31-foot fork in the road in New York. Despite this fact, it did not thwart the enthusiasm of the residents and artists themselves. Although most people were happy to have it, the California Department of Transportation was less enthused. On June 10th, 2010, the Fork was taken down by the city, who cited safety issues as a primary concern, and noted that Marshall did not have permission to put in on the property in the first place. “They think it’s dangerous, that it might fall over, and they’re afraid people will run across the street to be photographed with the fork and be run over,” Stane told the Los Angeles Times. Since then, the Fork has had its share of fun at its permanent residence. In 2012, the Idaho Potato Commission celebrated their 75th anniversary by traveling around the country with a six-ton, 28-foot long potato. The potato visited the Fork and made for a fun, eventful, interesting day. It’s also a site to many local events and fundraisers, such as “Put the Fork In Hunger,” a charity event that helps feed underprivileged families in the area. The city of South Pasadena has a lot to offer. The Los Angeles Times said of South Pasadena, “The city has so zealously protected its original charm and architectural character that it has become in many ways a time capsule of California living in the late 19th and early 20th centuries.” Their charming tree-lined streets are known for their large concentration of beautiful Arts & Crafts-era bungalows and Craftsmen homes. The Pasadena Craftsman Weekend has displayed the best in design and architecture for over 25 years.Then there’s also the Pasadena Heritage’s Spring Home Tour, which takes visitors on a tour of some of the most beautiful homes in the Pasadena area. Orange Grove Boulevard is known frequently as “Millionaire’s Row,” and it’s full of million-dollar mansions. The Fenyes Mansion is just one of them. It is currently managed by the Pasadena Museum of History and has appeared in Hollywood films, Being There and The Prestige. General tours are available to the public, and Fenya Mansion offers a glimpse into the life of those who live on Millionaire’s Row. Robert Farquar designed the home in 1906 and 1907, where a conservatory and studio were eventually added in 1911. Four generations of relatives have lived at the estate, and many of its rooms remain they were over 100 years later. During the tour, you’ll find family heirlooms, a California plein air art collection, and much more. The Fenyes Mansion has been designated as a Pasadena Cultural Heritage landmark and a Point of Historic Interest by the state of California. The Gamble House is another staple on the “Millionaire’s Row.” In 1908, Charles and Henry Greene designed the Gamble house for David Berry Gamble, who was a second generation family member of the Procter & Gamble Company. By then, David and his wife, Mary Gamble, were frequenting Pasadena in the winter, and wanted to move there permanently. Within 10 months of meeting the Greenes, the house and initial pieces of custom furniture (five rugs in the living room were designed by Charles Greene from watercolor) were complete. The husband and wife passed away in 1923 and 1929, but the house remained in the family until 1966, where it was deeded to the city of Pasadena through an agreement with the University of Southern California Architecture School. The architecture of the home is well worth visiting the place. The Gambles wanted the design to pay homage to the rustic setting, and the wood home sits nestled in a grassy knoll. Vines obscure the exterior partially, making the house blend seamlessly with nature, and the interior also matches this aesthetic, with semi precious stonework, glass, metal, and wood elements. In fact, there were several types of wood used in the design: teak, Oak, maple, mahogany, and Port Orford cedar. The overall design was inspired by Swiss and Japanese architecture. Today, it is considered a central figure and masterpiece in the “America’s Arts and Crafts” movement. It’s also had its share of big-screen fame. Where the garage once was, there is currently a bookstore, which was the site of Doc Brown’s Lab in Back to the Future. Tours of this home take at least two hours. The Duncan-Irwin House is another Greene & Greene work of craftsmanship. The house originally belonged to a local seamstress, Katherine Duncan, who continued to make additions to the property until 1904, when she sold it to Theodore Irwin Jr., the heir on an industrial fortune. Irwin did not need to work, thanks to his inheritance, and spent many years simply adding to his father’s collection of art and books. The property has amazing views of the San Gabriel Mountains and the Arroyo Seco Valley. The architecture is very reminiscent of the Greene brothers: it has timber terraces, overhanging eaves and exposed rafter tails, and large Arroyo boulders that are woven into brickwork of the massive pergola columns, which is one of the home’s best features. Wisteria vines bloom at different times of the year, cascading the home with green. The Miltimore Residence hit the market for the first time in 66 years this March, with an asking price of $4 million. This historic South Pasadena home is listed on the National Register of Historic Places and was initially designed in 1911 for prosperous olive rancher, Mrs. Paul Miltimore. Since then, it has had only three owners, and looks nearly identical to when it was first built, as few upgrades have been made, which make the home in its entirety feel like an antique beauty. South Pasadena’s Bubble House is a testament to one of the most innovative architectural solutions of our time, and to the legendary architect Wallace Neff. Neff designed homes for some of California’s wealthiest people, including Judith Garland and Douglas Fairbanks Jr. Several celebrities have also purchased Neff’s homes, including Brad Pitt, Diane Keaton, Madonna, and Guy Ritchie. Neff designed the Bubble House as an answer to the housing crisis after World War II. What’s most fascinating about the space is that it can be constructed in under 48 hours by inflating a large balloon with chicken wire, spraying it with gunite, and applying a pressure house. Though 3,000 Airform houses were built, the South Pasadena home, where he lived up until his death, is the last remaining in the country. The current owners are Sari and Steve Roden, who inherited several pieces of vintage furniture upon purchase. You can drive by this historic home at 1097 S. Los Robles Avenue. Castle Green has a long and storied history. Originally built in 1898, the design was influenced by Spanish, Victorian, and Moorish architectural elements. Back then, it was called “Central Annex” and was a part of trio that included the main Hotel Green and another building that was later called the Wooster Block. There used to be a pedestrian bridge that connected Castle Green to Hotel Green. It has since been demolished, though remnants of the bridge still remain. In the 1920s, it was converted into an apartment complex, where it housed many designers, artists, and musicians. Today, the Castle is an enchanting event venue. It is full of charm and glamour, and is very popular for wedding bookings, with its lush gardens and verandas. It’s a nationally registered historic monument that’s also ideal for corporate events, galas, and all types of soirees. South Pasadena’s Airform Bubble House was designed by architect Wallace Neff, who also designed for some of California’s wealthiest, including Douglas Fairbanks Jr. and Judith Garland. Despite his extensive architectural resume, his Airform “Bubble House” is said to be one his finest–and most proud–works. Like many great design stories, this one has a humble beginning. In the early 1930s, the housing crisis put a halt on many promising construction sites, as companies and individuals struggled to find reliable funding. Neff was shaving at his bathroom sink when a bubble formed on his finger and he realized that if he could find a way to build with air, he could save money and build quickly, with no need for wood or nails. The construction was therefore one of the most curious of its time. It was built using an inflatable balloon covered in chicken wire and then sprayed with gunite, which is a mixture a sand, water, and cement that’s applied through a pressure hose. The gunite then produces a dense layer of concrete, and is often used for structural repairs. Using this method, open-plan, curved homes could be built within 48 hours. However, many people weren’t convinced that the igloo shape successfully optimized space, and the unconventional structure deterred large money-makers from adopting it completely. While 400,000 were originally planned for construction in the United States, only 3,000 were actually built. However, overseas Neff had better luck, and he constructed airform houses in cities around the world like Cairo, Rio de Janeiro, and Senegal. Today, the only existing Airform house in America is in South Pasadena, California, where the current owners take special care to maintain it. The ceilings are seven feet high and the domed ceilings stretch up to 12 feet. It was built in 1946 and the neighbors weren’t receptive to it, because at the time, it did not fit into the Period Revival aesthetic of the nearby homes. Despite criticism of its elliptical structure, it was featured on the cover of the Los Angeles Times Home Magazine, and was eventually praised for its inventive solution to the mid-century housing crisis. The South Pasadena home is where the architect personally lived until he died in 1982. Current owners Sari and Steve Roden, who purchased the house in 1998, said in a Los Angeles Times article that they “can’t imagine living anywhere else.” The couple also inherited several pieces of vintage furniture originally owned by the architect. The house comes with its own share of fame and rumors. The owners have heard that Elvis once visited the house, most likely to discuss a home that he wanted Neff to design for him. The irony here is not lost: while Neff is most renowned for his elaborate designs, his heart was in simple, open, and flowing architectural spaces. Though the house is occupied, you can still drive by 1097 S. Los Robles Avenue for a look at piece of design history. Music-lovers, get ready for the September lineup at the Greek Theatre in Los Feliz, including Mary J. Blige, Classic Quadrophenia, Future Islands, Nickelback, Harry Styles, Kenny G, Lifehouse, Goo Goo Dolls, George Benson, Switchfoot, and Explosions in the Sky. Located at 2700 North Vermont Avenue, the Greek Theatre of Los Angeles is one of the most beloved outdoor theatres of the nation. The architect Samuel Tilden Norton designed the original plans for the Greek Theatre, which seats up to 5,870 viewers. This September marks the 87th-year-anniversary of the music and event venue. The theatre’s tagline, “To Play, See and Be Among the Stars” expresses the wondrous experience waiting to be had there. Colonel Griffith J. Griffith was a journalist and a gold mining expert who purchased Los Feliz Rancho, started an ostrich farm, and later donated 3,000 acres of land to the city of Los Angeles. Griffith specifically stated that the land was meant for a city park and “made a place of recreation and rest for the masses, a resort for the rank and file, for the plain people.” The land became what is now known as Griffith Park. In addition to donating the park land, Griffith also allocated funds (up to one-million dollars) for the construction of the Greek Theatre, as well as the Griffith Observatory. While in or near Griffith Park, be sure to visit the Autry National Center, the heritage tree, the Hollywood Sign, Travel Town Museum, Bronson Canyon, the picnic areas, and the hiking trails. You’ll also find a merry-go-round, baseball fields, soccer fields, and the Griffith Park Zoo. The Ancient Greeks gathered around outdoor theatres to view the dramas and tragedies of their day. In 1931, the first performance in the venue was held for an audience. Fifty years later, the seating was renovated to fit a larger crowd. Now, famous entertainers, musicians, and comedians perform at the Greek Theatre in Los Feliz. Bruce Springsteen, Sir Elton John, and Frank Sinatra are a few of the legends to play there. The venue has also been used over the years for motion picture filming, high school graduations, and other public events. Thinking about visiting the Greek Theatre? The theatre offers off-site parking for visitors and the Pony Ride Train shuttles patrons to the venue. You can also purchase food and drink on site. Enjoy music and fun at the Greek! Los Feliz is a neighborhood in the city of Los Angeles near Hollywood, the Santa Monica Mountains, Silver Lake, and the Los Angeles River. Los Feliz was once a part of Rancho Los Feliz. Today, Los Feliz Hills, Los Feliz Estates, Los Feliz Square, and more are communities in the neighborhood. Real Estate Unlimited is a real estate company in Southern California that specializes in luxury real estate in Los Angeles. We are passionate about sharing our knowledge of the area and with placing our clients in the best-fitting homes. Feel free to contact us with questions regarding real estate in Los Feliz and other neighborhoods in Los Angeles. The historic Vista Theater in Los Feliz is a cultural landmark and artifact of life in Los Angeles. Located at 4473 Sunset Drive, this antique movie theater features a 50-foot movie screen, vintage architecture, and cement handprints from famous actors, actresses, and directors. Spend a night out and go see a movie or the occasional concert at the Vista. It’s also available for special events, birthdays, and weddings. Many filmmakers have used the Vista as a shooting location and have premiered their films on its screen. This famous silver screen was opened in October of 1923, which means that it is almost one-hundred-years-old. Back in the roaring twenties, the theater went by the name Lou Bard Playhouse and it hosted vaudeville shows before it screened the film Tips, starring actress Baby Peggy. Today, the Vista Theater projects films on both a Sony Digital projector as well as a 35 mm film projector. For example, Interstellar (directed by Christopher Nolan) was screened on 35 mm film at the Vista a week before its national premiere. Contemporary films are screened on a regular basis at the Visa now. The Secret Movie Club Film Festival of 2017 features movies screened every weekend of the month of August. It’s not every day you get the opportunity to see classics (like Freaks, Blue Velvet, Dr. Strangelove, and Roadhouse) on the big screen. Find out more here. Check out this YouTube video by American Public Media to learn more. Thomas Theaters renovated the Vista Theater during the eighties, and it is currently owned by Lance Alspaugh. You may have been to Grauman’s Chinese Theatre, but don’t forget to visit the forecourt at the Vista Theater, where you’ll see the cement handprints of famous Hollywood actors and directors. Are you a Spike Jonze fan? Love laughing at John C. Reily? Or are you more into John Landis films? See the mark left by the cast and crew of famous pictures like Ed Wood, Swingers, Show Girls, Poltergeist, and more. Baby Peggy herself was featured in a handprint ceremony at the Vista when she was 91-years-old to celebrate the theater’s history. Other celebrated artists include Tenacious D, Ray Harryhausen, Forrest J. Ackerman, Penelope Spheeris, Vilmos Zsigmond, Joseph Gordon-Levitt, and more. Los Feliz is a neighborhood in central Los Angeles known for its history as a California land grant and as the home of various Hollywood celebrities. Los Feliz was the neighborhood where Walt Disney first drew Mickey Mouse in his uncle’s garage, and it was home to his first animation studio. Today, Los Feliz covers two-and-a-half acres of land and is home to approximately 35,500 citizens. The borders of Los Feliz touch the Santa Monica Mountains, Hollywood, Griffith Park, Atwater Village, Silver Lake, the Los Angeles River, and the Hollywood Hills. The Rancho Los Feliz land grant was a parcel of land covering six-and-a-half acres. It was granted to Corporal Jose Vicente Feliz (the neighborhood’s namesake). In Griffith Park, you’ll see the adobe home his children built, which still exists. Now, the same land is what we know as Los Feliz and Silver Lake. Visit Los Feliz Village for excellent shopping, dining, nightlife, and vintage stores. Drive by Laughlin Park, Los Feliz Estates, Los Feliz Hills, Franklin Hills, Los Feliz Square, and Los Feliz Knolls to get to know the neighborhood better. Celebrities like Adam Levine, James Cameron, Jenji Kohan, Geena Davis, Lily Tomlin, Val Kilmer, Beck, Spike Jonze, Katherine Heigl, Brad Pitt and more have lived in Los Feliz. Enjoy your time in Los Feliz and the great city of Los Angeles. Real Estate Unlimited is a real estate agency with over thirty years of experience with luxury real estate in the city of Los Angeles. Since 1980, we have been assisting clients with buying, selling, and researching homes. Do you have questions about Los Feliz real estate? Feel free to contact us today. Explore the culture and the history of Mt. Washington in Los Angeles. Mt. Washington is a historic neighborhood located to the west of South Pasadena and north of Cypress Park. It’s known as the home of the Self-Realization Fellowship, Heritage Square Museum, Eldred Street, and the Lummis House. All of these are lovely destinations, but museum lovers can’t afford to miss visiting the Southwest Museum in Mt. Washington. The Southwest Museum of the American Indian Collection is the first museum of Los Angeles and is located at 234 Museum Drive, Los Angeles, 90065. It specializes in exhibiting and preserving artifact­s and artwork from native American and Latino communities. It was founded in 1907 by the Southwest Society of the Archaeological Institute of America and journalist Charles Fletcher Lummis. Charles Lummis was the same Lummis of the Lummis House built in 1897. He was known for his photography of American landscapes and portraits of Native American Indians. Lummis was an outspoken activist for Native American rights and throughout his life he collected Native American artwork. The museum building was erected in 1912. Today, the museum is the Southwest Museum Mt. Washington Campus, and in 2003, the museum merged with the Gene Autry Western Heritage Museum of the American West. Currently, the collections at the Southwest Museum are being moved to the Resources Center of the Autry, a new building in Burbank, California. The Autry is also dedicated to the preservation of the Southwest Museum building and work on that project is underway. As of January, 2015, the Southwest Museum was recognized as a National Treasure by the National Trust for Historic Preservation. It is also recognized on the National Register of Historic Places. The Friends of the Southwest Museum is an advocacy group that formed in 2003 when the merger between the Autry and the Southwest Museum began. The goal of the Friends of the Southwest Museum is to see the Southwest Museum continue to show exhibitions and provide education and culture to schools and communities in northeastern Los Angeles. Real Estate Unlimited is a real estate agency serving the city of Los Angeles and the surrounding areas. Feel free to view and browse our listings in the neighborhoods of Mt. Washington, Echo Park, Silver Lake, Eagle Rock, Highland Park, and more. The Northeast neighborhood Mt. Washington in the city of Los Angeles is a hidden gem that is situated near downtown Los Angeles and various historic sites. Start your exploration of L.A. with the historic architecture and homes near Mt. Washington. 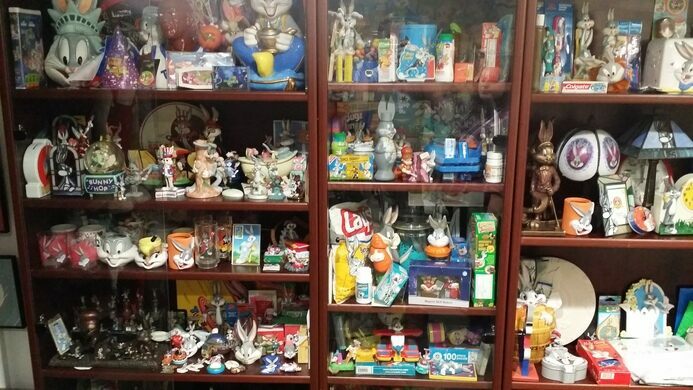 You may have heard of Heritage Square Museum, but don’t forget Smith Estate in Highland Park. The Smith Estate is a pristine Victorian home on El Mio. It was built in 1887 for Judge David Patterson Hatch, and today it stands at 5905 El Mio Dr. Originally built for $10,000 with four bedrooms and servants’ quarters, the home value is estimated at almost two million dollars today. The four-and-half thousand square foot home contains six bedrooms and three bathrooms. The next family to call this Los Angeles Historic-Cultural Monument home was the Smiths. Charles Warren Smith was a railroad man who bought the home. He worked with the Atchison, Topeka, and Santa Fe Railway, the Pasadena Railway Company, the Los Angeles Electric Railway Company, and the Los Angeles Railway streetcar system. Charles was also known for the uncommon pursuit of writing publications on the occult. The Smiths were popular for their legendary parties involving dancing, decorations, and fundraising. Following the Smith Family, Michael Gage moved into the home during the 80’s. He commuted to City Hall for his position as the Los Angeles Deputy Mayor. The current owners are Tim Parker and Mari Parker. Even if you haven’t seen the Smith Estate — or even if you’ve never heard of it — you may recognize it from some movies. The house was used as the setting for director James Wan’s horror film Insidious Chapter 2 (2013), starring Patrick Wilson and Rose Byrne. It was also the setting for the cult horror movie Spider Baby (1967). If visiting the Smith Estate isn’t enough to feed your interest in historic L.A., check out historic homes at the Hale House, the Heritage Square Museum, the Ziegler Estate, and the Garbutt House. About Mt. Washington: Mt. Washington is a hilly neighborhood surrounded by Eagle Rock, Highland Park, Montecito Heights, Silver Lake, and Echo Park. It’s just close enough to the heart of L.A. and the surrounding neighborhoods. -Southwest Museum: Learn about and celebrate Native American culture at this historic museum. -Self-Realization Fellowship Headquarters: Explore meditation and yoga at this local organization. -Heritage Square Museum: Walk into the past as you tour historic home museums. -Lummis House: See the river rock and craftsmen style of this iconic castle-shaped home. Real Estate Unlimited is a real estate agency with more than thirty years of experience in Los Angeles and the surrounding areas. We specialize in finding the right home for our clients, including luxury real estate. Please allow us to help you with any of your real estate needs in Mt. Washington, Highland Park, Eagle Rock, Pasadena, Silver Lake, Echo Park, and more. There’s never a boring moment in Los Angeles, California with all of the historic homes and architecture to discover and visit. Among the many Los Angeles Historic-Cultural Monuments, the Lummis House is one of the great historic house museums of Southern California. Located at 200 East Avenue 43, the Lummis House and Gardens is open on the weekends to visitors, and the museum is run by the Los Angeles Department of Recreation and Parks. 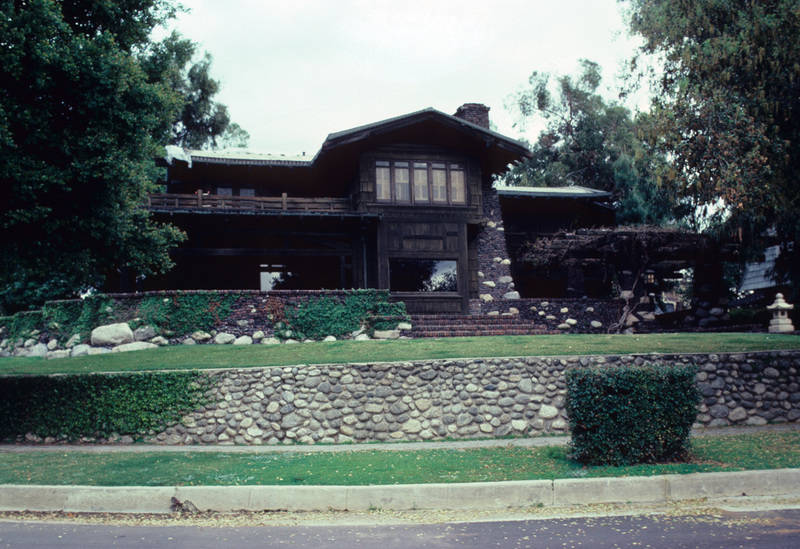 Charles Fletcher Lummis built the house in 1897, covering four thousand square feet on a property of three acres. The project lasted thirteen years, and the exterior of the home is made of river rock. The Lummis House, also known as El Alisal, stands nearby the Arroyo Seco, the San Gabriel Mountains, and the Los Angeles River. Lummis chose the spot for the project because of a sycamore tree on the property. El Alisal actually means alder grove, another word for sycamores. Today, this beautiful home is overseen by the Recreation and Parks Department of the City of Los Angeles. Lummis’ original wishes involved the estate turning into a theater for the community and a supper room influenced by Spanish architecture and culture. The home does include a concrete floor in the exhibition hall intended for concerts and art exhibitions. Until 2015, the property was used for the Historical Society of Southern California (beginning in the 1960s). You may recognize the name Lummis from the Lummis Day Festival, featuring celebration and activities for the community that promote art, music, and history. The festival was inspired by Charles Fletcher Lummis himself. He is known for advocating for the preservation of Native American and Spanish culture. As a part of that mission, he founded the Southwest Museum, which eventually merged with the Autry National Center. It is still the goal of the museum to this day to conserve collections of Native American and Spanish artwork. Lummis was employed as a journalist, but he was also an avid photographer and a collector of folklore and artifacts. An interesting history chronicles Lummis’ life. He went to Harvard with Theodore Roosevelt before eventually dropping out, and he walked from Cincinnati to Los Angeles to work at the Los Angeles Times. During his journey, Lummis crossed 3,500 miles and became interested in Native American Indians; he went on to become an outspoken activist for their rights. In 1905, took the position of the City Librarian at the Los Angeles Public Library, and he founded the Arroyo Seco Foundation in the same year. Real Estate Unlimited is a boutique real estate agency with an intimate knowledge and impressive expertise of the Los Angeles area. Feel free to browse our listings in Mt. Washington, South Pasadena, Eagle Rock, Silver Lake, Echo Park, Los Feliz, and more. Contact us today for more information on how we can help you purchase or sell your home. Art lovers of Los Angeles, have you checked out the Judson Studios in Highland Park? Judson Studios is a family run stained-glass art studio that has been in Los Angeles since the end of the 19th century. Check out Judson Studios near Mt. Washington in Southern California for tours and education about the stained-glass process. The new location of the studio is at 200 S. Avenue 66, Los Angeles, California, 90042 in the Highland Park neighborhood of the city of Los Angeles (in the Garvanza section). The founder William Lees Judson from England started the Judson Studios in 1895 with his sons. At that time, the studio worked under its first name: Colonial Art Glass Co. Judson produced glass for architect Frank Lloyd Wright and eventually founded the Los Angeles College of Fine Arts. Today, Judson Studios is made up of two separate locations. The location in South Pasadena specializes in fused and kiln formed glass designs, while the second location is open for tours at 143 Pasadena Ave, South Pasadena, California. Judson Studios specializes in customized stain glass projects for any venue or location. The studio has produced beautiful glass for both public and private buildings, and the professional team is capable of producing glass for projects of all sizes. The team also takes on restoration and repair projects, including reinstallation of glass. In addition to crafting some of the most beautiful stained-glass projects in the world, the team at Judson Studios completes every step of the stained-glass process, from design and concept all the way to glass installation. Judson glass is beautiful, breathtaking, and lasting. Artists at the Judson Studios are familiar with various styles of glass, and the studio produces both traditional projects as well as contemporary and cutting-edge projects. The artists there experiment with mixing both traditional techniques, contemporary styles, and the latest technologies to produce custom and unique glass designs. Judson Studios works to make designs and dreams a reality in gorgeous, colored glass. Monthly public tours are available. The studios, which also hosts art exhibitions and artists-in-residence, is two-thousand square feet. The studio space includes a cutting room and a subterranean glazing room for glass work. Since June of last year, the South Pasadena location has been open for tours. This studio is larger at five-thousand square feet. The space also includes kilns for innovative glass projects. David Judson is still the president of Judson Studios and the great-great-grandson of the original founder. Mt. Washington in Northeast Los Angeles is known for its steep hills and contemporary architecture. It is located a short half an hour from the Los Angeles Airport as well as from the famous Santa Monica Pier. In Mt. Washington, visitors and locals enjoy being in close proximity to the Self-Realization Fellowship, downtown Los Angeles, Eldred Street, and the Southwest Museum of the American Indian. Other nearby destinations include Hollywood, Moon Canyon Park, and the Carlin G. Smith Recreational Center. The Real Estate Unlimited blog brings you expert knowledge and insider info about the city of Los Angeles. With our decades of experience in buying and selling luxury real estate, we are available today to assist you with learning about the city and the surrounding areas.